Our House functions and exists through prayers, volunteer workers, and donations only. Therefore, your prayers and financial gifts are much needed and so welcome. 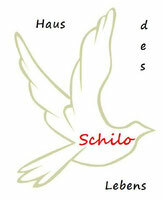 Practical, we need volunteers to help us to keep our Schilo-House of Life running. It is important that you love God and love people, and love to share your time with and invest into others.